No hotspots have been detected in Sabah as the haze situation improved, Department of Environment (DOE) said yesterday. 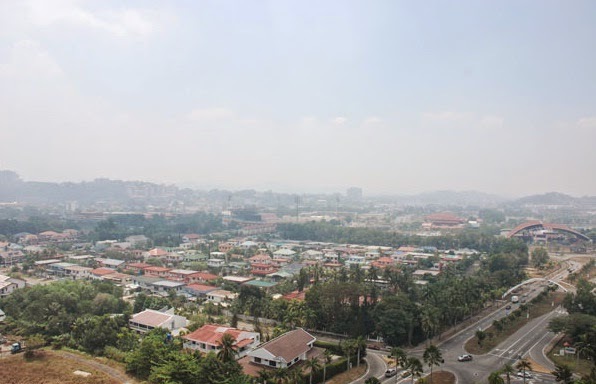 In a statement its state office said the air quality in Kota Kinabalu and Keningau read 66 API (Air Pollution Index) and 52 respectively as of 10am. Tawau registered a reading of 40 while Sandakan is at 55. The reading of 50 API is good while the index of 51-100 is moderate. Nevertheless, the DOE wants the public not to carry out any open burning and to assist the authorities in putting out small fires or contact the fire and rescue department if there is an uncontrolled burning. It reminded the public that under Section 29A of the Natural Surrounding Quality Act 1974, it is prohibited to carry out any form of open burning except those that are accepted. A maximum fine of RM2,000 can be imposed on offenders and if the offenders are found guilty by the court, they can face a fine of up to RM500,000 or a jail term of up to five years or both. This is good. Hopefully the weather getting better.